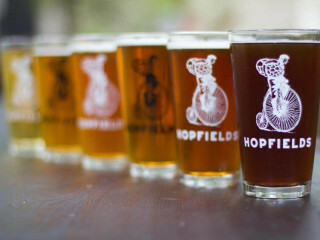 Hopfields is hosting a special Farmhouse Beer Dinner featuring a wide variety of farmhouse ales sourced from the Texas Hill Country, Michigan and Europe. For all you wild and spontaneous ale lovers out there, a sneak preview of the menu pairings includes a Jester King "Special Collaboration" with a honey truffled scotch egg ... and more. Farmhouse Beer Dinner is a part of Austin Beer Week 2014.